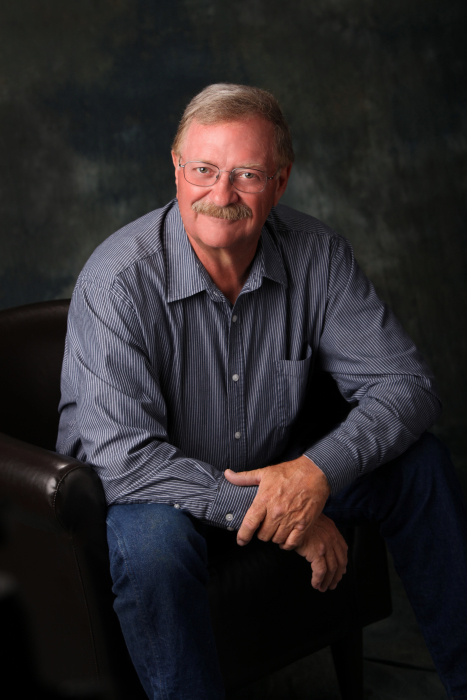 Roger Lee Dunn of Powell died on Thursday, Feb. 7, 2019, in Billings, Montana. He was 64. Roger was born on April 18, 1954, in Dumas, Texas, to Harriet Lucille (West) and Billy Joe Dunn. He earned a degree in mechanics at Casper College. Roger married the love of his life, Carol Ann Taylor of Cheyenne, on Oct. 12, 1974. The couple made their home in Powell and raised five children: Traci, Tammi, Tiffani, Trevon and Trent. Roger worked as a Park County Sheriff's Deputy. Following his retirement, he served as a valet concierge for the Powell Senior Center. A longtime supporter of local youth, Roger served on the Powell Athletic Roundtable. He was a handyman extraordinaire. Roger enjoyed riding bikes with Kerry, and softball with Gary, Gene and the Boys. One of his greatest achievements was supporting all of his grandchildren in their activities. He was preceded in death by his father Billy Joe Dunn and grandparents Bill and Flora Dunn. Roger is survived by his wife Carol of Powell; mother Harriet West of Rock Springs; daughters Traci Dunn (Jim Selders) of Panama City, Florida, Tammi Murdock of Powell and Tiffani (Andy) Asher of Powell; and sons Trevon Dunn of Powell and Trent Dunn (Maggie) of Cody. Roger also is survived by his grandchildren Kimberly Murdock, Carson Murdock, Brooks Asher, Ethan Asher and Payton Asher; brothers Fred Dunn of Beatrice, Nebraska, Kenny and Cindy Dunn of Colorado Springs, Colorado, and Kerry West and Dianna Cliame of Rock Springs; as well as a very large and loving extended family. Funeral services will be held at 3 p.m. Tuesday, Feb. 12, at New Life Church in Powell. Honorary pallbearers will be Kimberly Murdock, Carson Murdock, Brooks Asher, Ethan Asher, Payton Asher, Jocelyn Howard and Doug Fitzpatrick. Memorial donations in Roger's name can be sent to the Powell Senior Center, 248 N. Gilbert St., Powell WY, 82435. Thompson Funeral Home is assisting the family with arrangements and condolences can be sent online at www.thompsonfuneral.net or to P.O. Box 807, Powell WY, 82435.